Acupuncture is ancient form of Traditional Chinese Medicine used to alleviate pain and promote overall health. Acupuncture uses very fine needles placed at precise points on the body to promote natural healing. The traditional Chinese concept of how acupuncture works is based on a belief that channels of energy, called meridians, flow throughout the body and along its surface. Stimulating specific acupuncture points will balance this energy flow and promote natural healing mechanisms. Modern science demonstrates that stimulation of acupuncture points causes a measurable physological effect. Acupuncture triggers the nervous system to stimulate organs and tissues and activate the body's natural immune system. 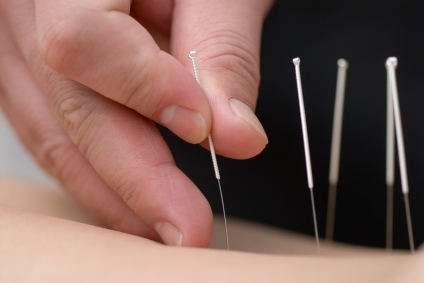 Today, acupuncturists also use lasers, magnets and electric pulses in addition to needles. Through the stimulation of the meridians, an acupuncturist is able to restore balance and health to the patient.